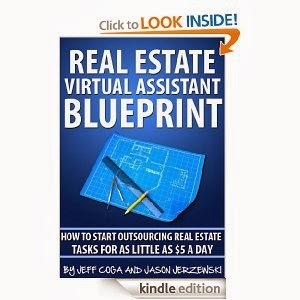 Jeff Coga's "Real Estate Virtual Assistant Blueprint" is an innovative book (a rolodex, really) on how to get a virtual assistant. For years, professionals have dreaded getting an assistant to help with many of the tasks that are too menial and too time-consuming. The author of this book came up with an innovative way to get a virtual assistant. In the beginning of the book, he includes a table of contents with categories that help you select which kind of assistant you want. The book is incredibly simple to use. You simply click the kind of assistant you want and are brought to a number of candidates. The author has pre-screened candidates and only included those willing to work. Even if you aren't good with computers, you should be able to find a virtual assistant in a timely manner. Overall, this is a great resource for anyone wanting a virtual assistant -- it'll save you time and money in the long run.